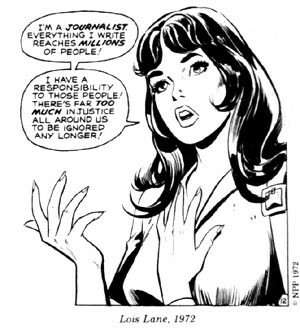 I'd never heard of Reporter's Privilege, but it's apparently very similar to shield laws. 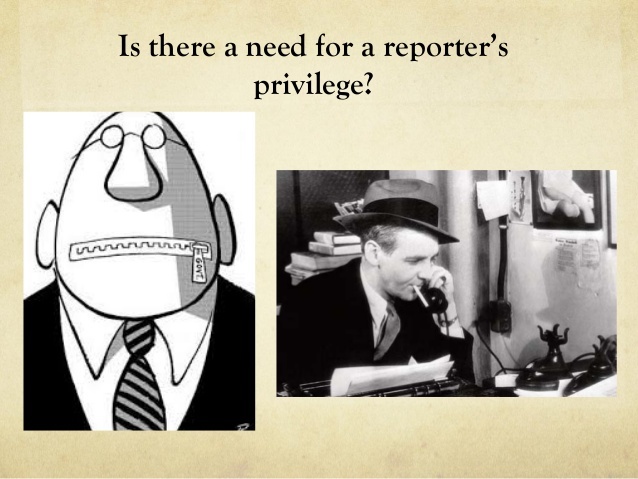 Reporter's Privilege is "the right of a reporter to not testify about confidential information or to reveal his or her source." There are certain rules or laws in the U.S. that everyone should uphold, including the courts. These are not just based on constitutional law, but on basic human rights. 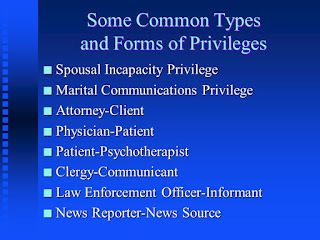 A reporter's right to protect their source is as important as the priest's right to keep the confessional secret, or doctor-patient confidentiality, or lawyer-client confidentiality. 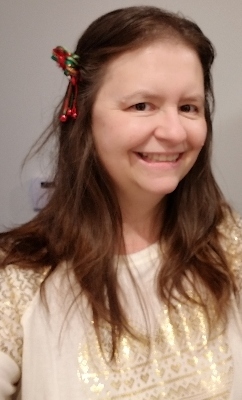 These may all differ slightly, but in each case, the professional (in this case, the reporter) must have that legal protection in order to get the information from their informant. Otherwise, many sources would not come forth. They would not be able to trust that the reporter would keep their name private. News sources must be protected, or else the person leaves him/herself open to reprisal from co-workers, bosses, police, criminals or worse. The system works because the reporter is able to get the information without revealing who told the information. Without that protection, they would not be able to get the story or tell us the important news. Reporters would be leaving themselves open to prosecution and could incur many legal expenses. These press freedoms are the cornerstone of our democracy. Most of the courts in the U.S. have upheld reporter's privilege. Only the fourth circuit federal court of appeals, which is based in Richmond, VA and covers District of Maryland and the Eastern part of North Carolina, has said that it doesn't exist. Nonetheless, there are always lawyers, police, government employees and judges seeking to subvert reporter's privilege every week, like this reporter in San Diego. This happens in other countries all of the time, too. Last week in Canada, they tested a new law there to protect reporters from revealing their sources. Many other Western countries besides the U.S. and Canada have shield laws and freedom of expression. However, these laws have qualifiers and are not absolute, and there is no federal shield law in the U.S. Those are two of the many reasons that the reporter's privilege and shield laws are always being challenged. I couldn't find a list of the countries without shield laws, but this list of countries from the World Press Freedom Index helps us determine which countries treat journalists the worst (which probably includes lack of shield laws or reporter's privilege). Although reporter's privilege has been around a long time, it's only been addressed by the Supreme Court once, in Branzburg v. Hayes. This case in 1972 decided that "in federal courts, a reporter may not generally avoid testifying in a criminal grand jury." 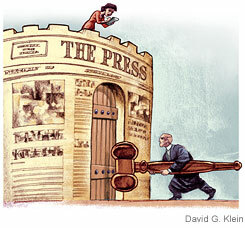 The judges declared that the press did well enough without the constitutional protection. However, they did maintain that the only time a reporter can be compelled to testify is if the testimony is aligned with "overwhelming and compelling state interest." 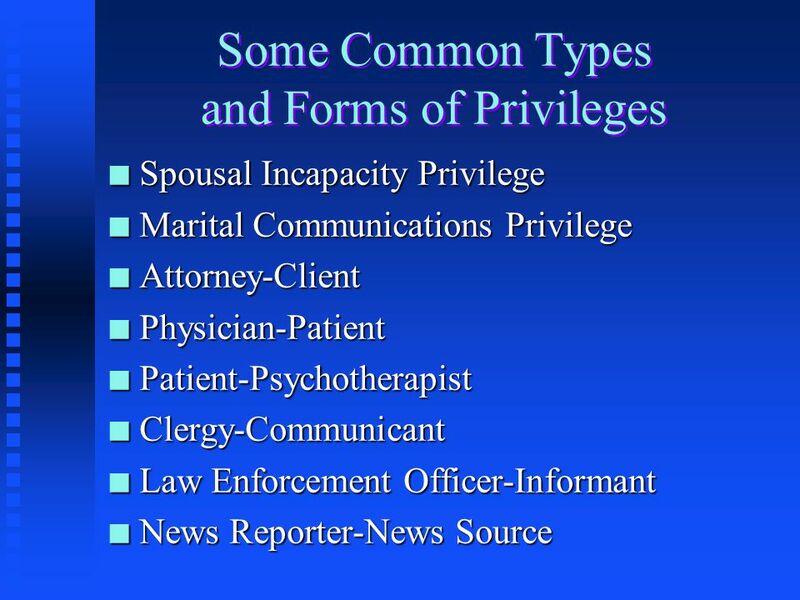 Many courts have interpreted this to mean that reporter's privilege does exist, except in rare cases. We won't ever have a completely free press until the courts declare that reporter's privilege exists, without exception, or we have a federal shield law. For the most part, it appears that many reporters in the U.S. act as if these things already occur, since they routinely face jail for not revealing their sources. Others are more cautious and do reveal their sources. As I mentioned before, reporters can also face breach of promise law suits if they don't maintain confidentiality.